We’ve survived the Polar Vortex of 2014, but really… winter has just begun! But, we’ve got a long way to go. No worries, though! 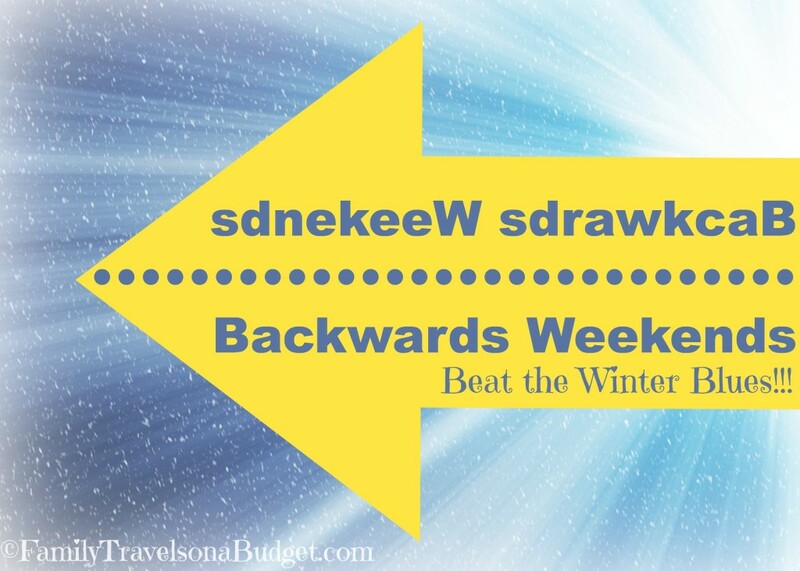 You can beat the winter blues with this simple staycation idea: Backwards Weekend! Best of all, it’s easy, fun and cheap (super cheap)! Ready? Turn any weary winter weekend inside out and upside down… backwards if you prefer that term. Keep the camera handy and prepare for lots of laughs! Beat the Winter Blues with this Backwards Weekend Staycation Idea! General Preparation for your Backwards Weekend. Planning a backwards weekend is really easy. You just have to adjust your thinking a bit — and be prepared to set aside boring chores, regular routines and “mom-as-dictator” mode for just a couple days. It might help to do grocery shopping Thursday or Friday. After all, who wants to go to the grocery store on vacation? If you like to bake special treats, bake ahead if you can…. Though, if you enjoy baking together you can save that for Saturday! Think about laundry and changing the bedding. Can you get it done Thursday? Or at least put off a couple loads until Sunday evening? Pull out your favorite family games to have them available for your special weekend. That’s it…. Now for the backwards weekend plan. You’ve got two options for this one…. Eat supper for breakfast and breakfast for supper. Why not? College kids live on pizza 24/7, right? OR…. Eat meals in reverse, starting with dessert and moving backward to main dish then salad. If the kids eat dessert first, they’ll never eat their dinner (or so you say)? Make “healthy” desserts and sneak good nutrition into the meal from the first bite. Bake a fruit pie, but cut the sugar by 50-75%. They won’t notice — the excitement of eating dessert first will make the food seem sweet, even if it’s not. Or make yogurt and fruit parfaits, topped with crunchy granola. Make it look like a sundae with a squirt of whipped cream on top. See? Healthy and they won’t even know it! Dress backwards. Whether you wear your clothes backwards, make everyone wear a baseball cap (backwards of course) or wear PJs by day and day clothes by night, create a fun atmosphere with some backwards dressing. Play backwards. Everyone likes to win… For this Backwards Weekend Staycation, the loser is the winner! Sounds easy you say? It’s actually hard to squelch that competitive drive to win. And, when everyone tries to lose, games can get out of control. Run a Backwards Obstacle Course. Indoor obstacle courses are a great way to burn energy on a dreary winter day… for Backwards Weekend, everyone has to navigate the course going backward, of course! It might be wise to simplify it a bit so that going backwards isn’t too dangerous. Family movie nights offer great entertainment when the weather outside is cold and blustery. The best movie for a backwards weekend staycation is, of course, Back to the Future! Make it a movie marathon weekend and watch all four of them! For younger kids, a dinosaur movie might be fun. The Land Before Time movies are great for the preschool set… YEP! YEP! YEP! With the right mindset, and just a little planning, a Backwards Weekend Staycation is easy to plan, fun to enjoy and cheap! Everyone wins — even the wallet! 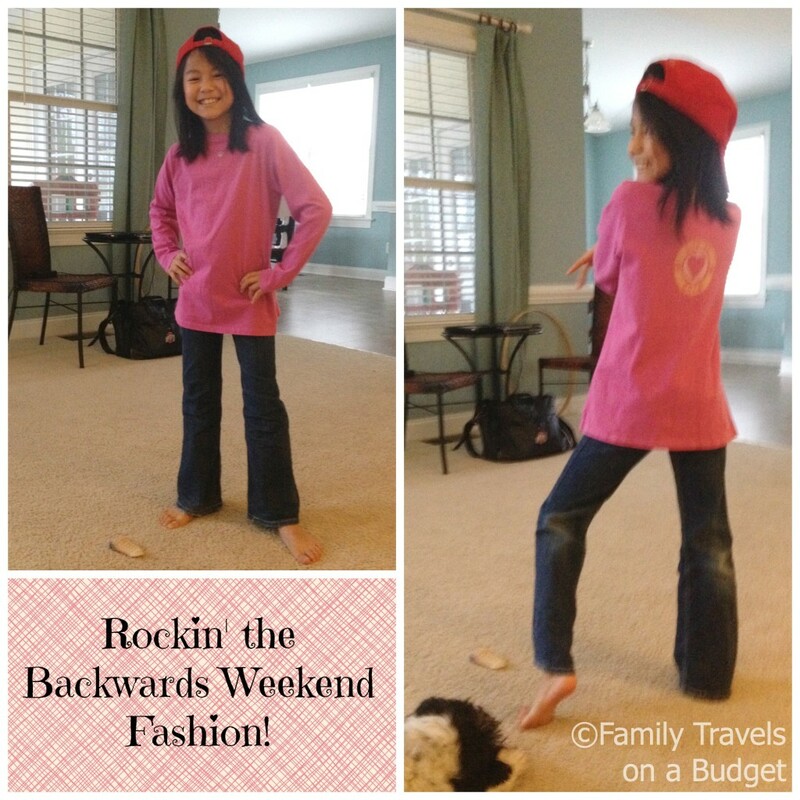 Do you have a backwards weekend tip to share? We’d love to hear all about your backward weekend adventures! Tee hee!!!! Tons of fun! Let me know if you do it. It works even for a backward day! 🙂 Have fun! This is such a great idea!! My boys would love to have dessert first! Me too! You’ve got smart boys. It’s amazing how turning things around makes a regular day so much more fun!